HAMPTON, Va. — Craig Collier, president of Collier Research Corporation, shows NASA Deputy Administrator Lori Garver some of the early work his company did on the Orion crew capsule and his current work with the aerospace industry. 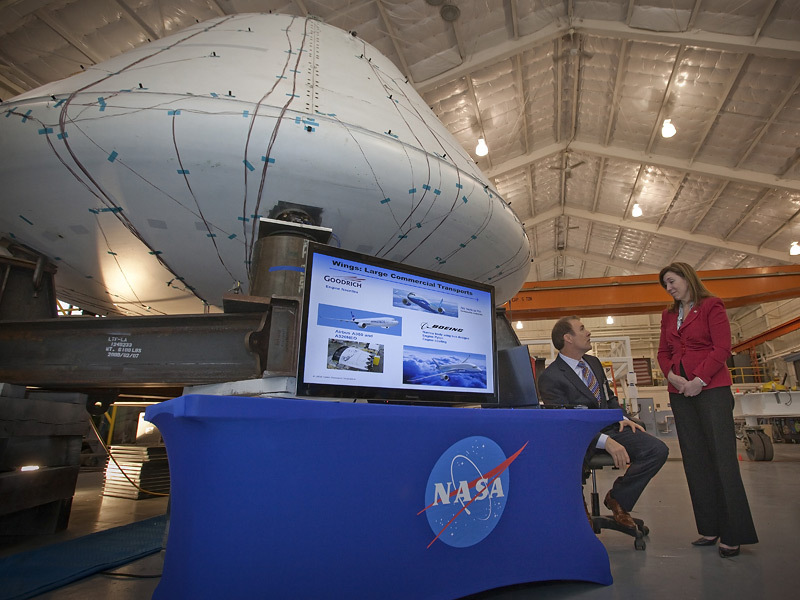 Garver visited NASA’s Langley Research Center in Hampton, Va., Thursday. The Orion mock-up is shown in a laboratory at NASA Langley where it is undergoing additional testing. Collier’s company was the first company to license software from NASA Langley. NASA licenses technology and hardware as part of the agency’s effort to transfer NASA-developed technology to U.S. businesses.